Home > Father’s Day breakfast - Get the kids involved! 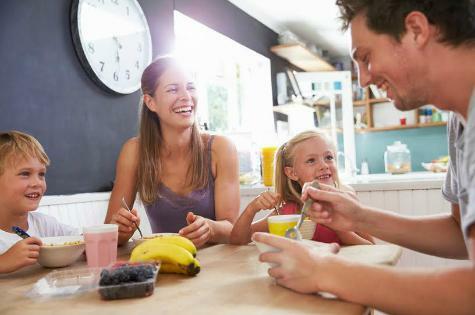 Father’s Day brekkie is a traditional treat for Dads, but also a great opportunity to get kids in the kitchen and teach them healthy breakfast habits. If your kids are four in five primary school-aged who have yet to start making breakfast for themselves, this might be the opportunity that you are looking at the get them started. 2. Entrust kids with some important tasks and let them get their hands dirty! 4. 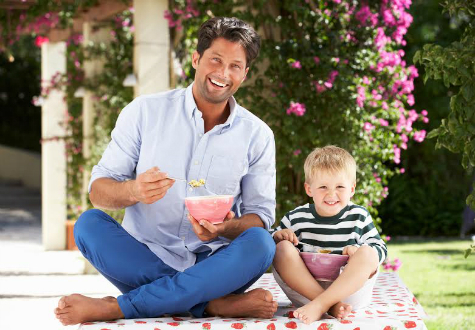 Make the most of early-rising kids by creating a ‘surprise plan’ for Dad the night before. Get kids to start on brekkie by getting out all the ingredients in preparation. With cereal boxes and spreads at the ready, ask them to set up a tray with cutlery, a napkin and a homemade card. 5. Make kids feel special and excited about making breakfast by turning it into a fun activity. Head to the supermarket together and let them pick the type of breakfast cereal, fruit or bakery items. A quick stop at variety store will find kids an apron and even a mini chef’s hat for the occasion. The tips are provided by Advanced Accredited Practising Dietitian and brekkie expert as director of the Australian Breakfast Cereals Manufacturer’s Forum, Leigh Reeve.